Martin J. Blank has been IEL’s president since 2009. He leads IEL in its mission to equip leaders to work together across boundaries to build effective systems that prepare children and youth for college, careers, and citizenship. 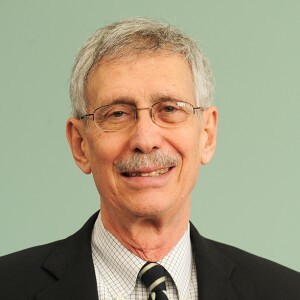 Marty has been associated with IEL since 1985, focusing his work on building bridges between schools and other institutions with assets that can support student success. Marty also serves as the Director of the Coalition for Community Schools, which is staffed by the Institute for Educational Leadership. The Coalition is a network of organizations and institutions at the local, state, and national levels working to unite school and communities. He is the co-author of Making the Difference: Research and Practice in Community Schools, Education and Community Building: Connecting Two Worlds and Together We Can: A Guide for Crafting a Pro-family System of Education and Human Services. Marty stays involved with local activities in the District of Columbia. He is the former Chair of D.C. VOICE, an education reform collaborative, and of the Management Team of the Early Childhood Collaborative. He has a B.A. from Columbia University, 1965, and a J.D. from Georgetown University Law Center. He served as a VISTA Volunteer in the Missouri Bootheel.